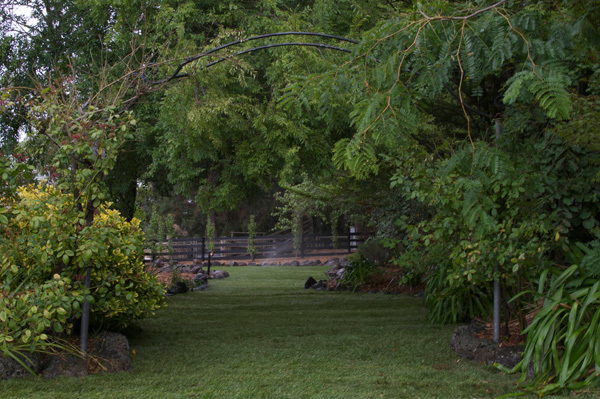 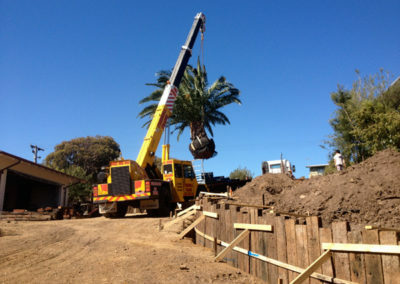 Paul McQuillan Landscapes are expert softscapers in Mornington Peninsula. 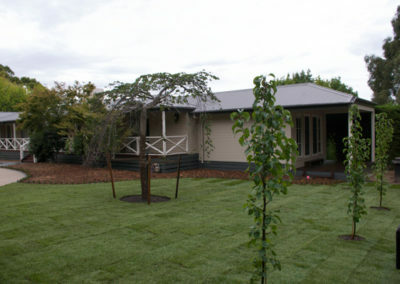 Turn great softscaping ideas are into a complete softscape design. Experienced and knowledgeable in softscaping in Mornington Peninsula, we excel in creative and practical softscaping ideas, design and construction for locations such as Mt Martha, Red Hill, Merricks and Franskston. 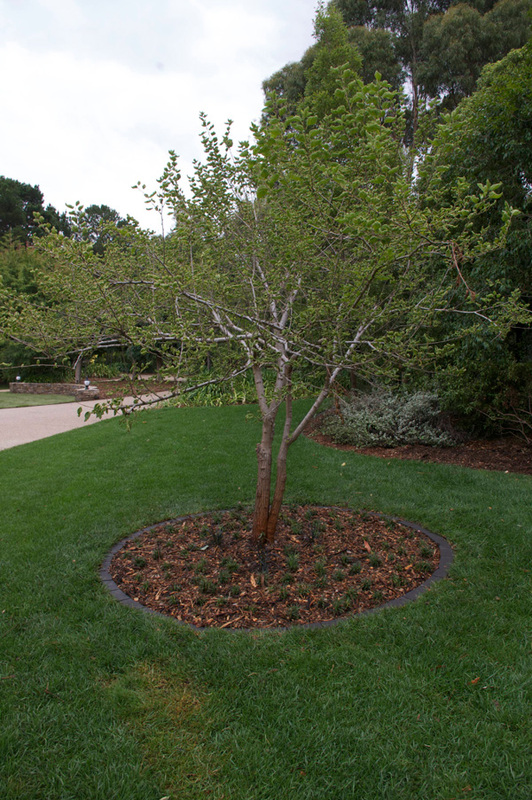 Effective softscaping requires good planning and design, and the ability to implement the right choice of plants and other landscape elements to complement your hardscape and homes surroundings. Involving earth moving, shaping and contouring, softscaping also importantly incorporates the right planting choices and mulching for your particular requirements, irrigation and garden design. 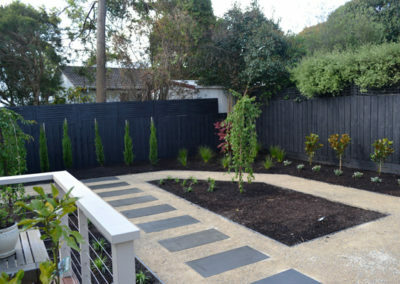 Endless combinations of shapes, colours, contrasts and textures can be created with clever use of softscaping elements including edging, ground covers, privacy screens, water features, pot plants, retaining walls, planter boxes, shrubs, bushes, wall creepers, vegetable gardens, ponds and garden beds. 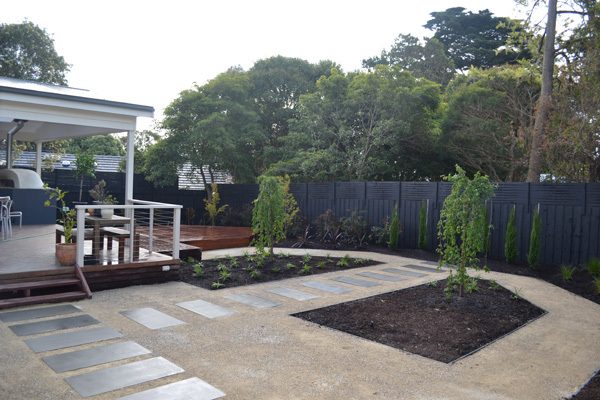 Softscape materials combined with plants include timber, stone, brick, mild steel, concrete, aggregate and pure elements like water and sand. 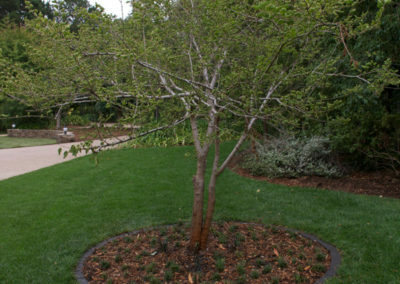 Designed around your existing hardscape such as your decks, driveway and courtyard areas, softscaping is the perfect way to balance your landscape design. 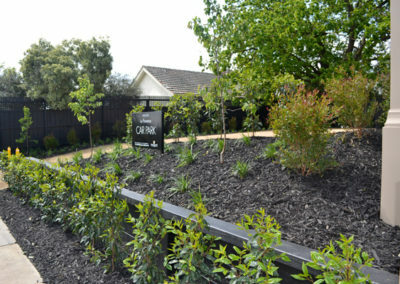 Specialising in native plants, trees and shrubs, the Paul McQuillan team are skilled and knowledgeable in selecting plants that will flourish naturally in Mornington Peninsula environments. 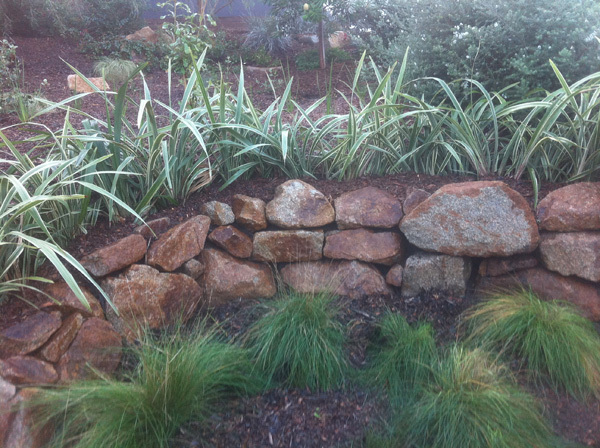 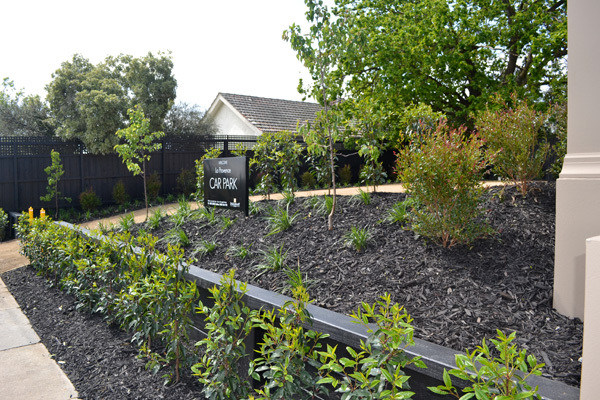 Native plants have an abundance of colours and types that can be utilised to great advantage in softscaping designs. 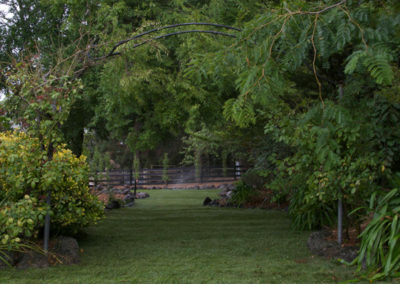 Our complete softscaping service includes everything from concept to clean-up. 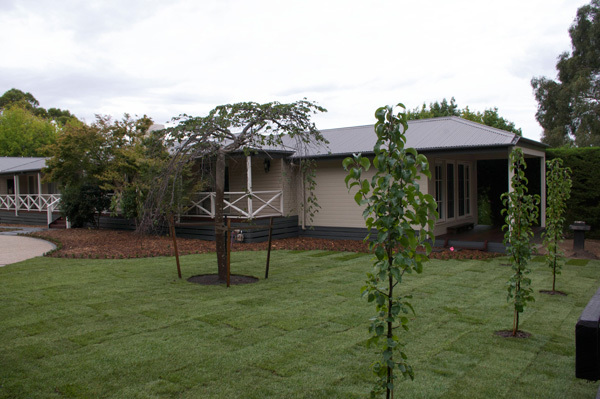 We have all the equipment local to Mornington Peninsula, plus the right advice and skills needed to carry out your softscaping requirements with seamless ease. 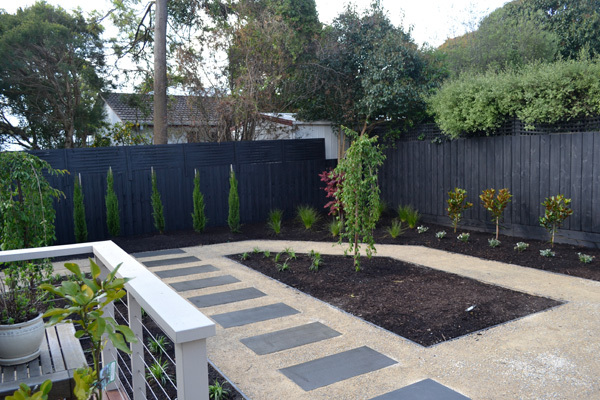 From earthmoving, digging and planting to garden-tidy up and waste removal, our consummate service will leave no mess – just a beautiful softscape to admire!